A few days ago, I discovered that I somehow lost 50 rss subscribers during the change over. I’m SO sorry! If you are one of those, please click on the RSS follow link again. And if you have any questions about how to follow, don’t hesitate to ask. Yesterday, I also discovered that the comments have not been working. So if you’ve been trying to leave me comments and have had trouble, I’m SO sorry! I believe I have corrected the problem, so please, comment away!! On a more positive note, did you see that Maison de Pax is now a regular contributor to Love Grows Wild? Be sure to catch my very first project there: Faux Oxidized Side Table Makeover. In addition, I have another exciting announcement. 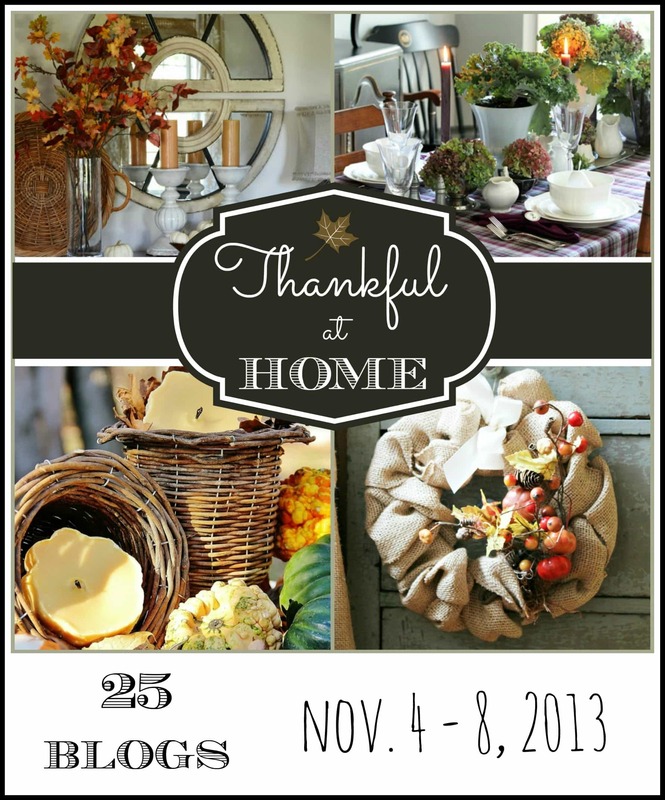 Maison de Pax has the honor of participating next week in a fabulous tour of homes with some other amazing bloggers. So be sure to come back next week… I am so thankful for all of you, and I hope you have a wonderful November! Thank you so much, Megan! I always find inspiration from the tours, too… I so hope you enjoy this one. 🙂 And good luck while on maternity leave! !